Billy Giordano is Room 38’s front-of-house general manager, events and catering manager, mixologist, and creator of the popular drink menu featuring his always-evolving house infusions. Billy arrived in Columbia over 10 years ago in January of 2005 to work with MU Football strength and conditioning. While working with MU, he began working part-time in the bar and restaurant industry around Columbia and was offered a position as general manager and bartender at the Forge & Vine Restaurant & Wine Bar. After a few years, Billy decided it was time to take his talents down the road, and teamed up with his friend and now business partner and Head Chef Jeremy Bowles to create Room 38 Restaurant & Lounge. In between managing catering events, private parties, and guest relations, Billy still loves finding time to get back to his true passion, getting behind the bar and taking care of his customers personally. 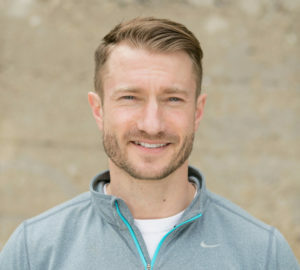 Jeremy Bowles, born and raised in Rolla, MO, graduated from the University of Missouri, Columbia, with a bachelors degree in hotel and restaurant management in 2004. From there Jeremy went on to cook for a variety of restaurants around Columbia, learning under each chef and taking his progress with him. As kitchen manager of the former Forge & Vine, Jeremy decided he was ready to write his own menu, and in August of 2008 opened Room 38 Restaurant & Lounge. 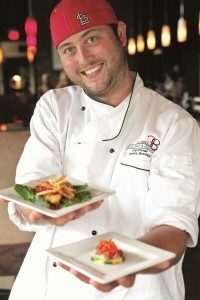 Since Jeremy has wowed Columbia with an eclectic menu offering a wide variety of creative plates for any palate.